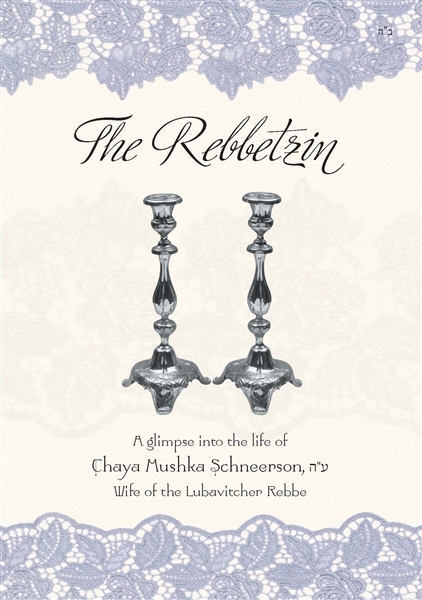 Scion of generations of Chabad-Lubavitch Rebbes and Rebbetzins, at twenty-seven years of age, Rebbetzin Chaya Mushka Schneerson became the life-partner of the Rebbe, Rabbi Menachem M. Schneerson, of righteous memory. Though her husband’s name would become renowned far-andwide, her life remained cloaked in utter concealment. Whether risking her life to smuggle candles to Yeshiva students during World War One, heading into exile to accompany her imprisoned father, or steadfastly supporting her husband’s work, her life is a tale of putting others first. Upon her passing in 1988, the Rebbe repeatedly quoted the verse “And the living should take to heart” (Ecclesiastes 7:2) urging that one learn from the Rebbetzin’s life and ways. Not one to accept even the tiniest bit of attention, she would deftly turn any spotlight from herself upon those with whom she came into contact. For this reason, she is hard to know – her life is so hard to study. 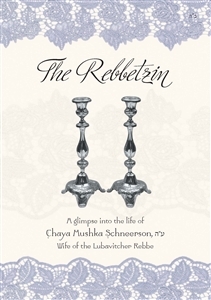 Culled from tens of hours of in-depth interviews, The Rebbetzin presents stories told by several of those who knew her. What emerges is a portrait of a woman to whom Klal Yisroel owes a debt of gratitude: The Rebbe’s full and deserving life-partner.